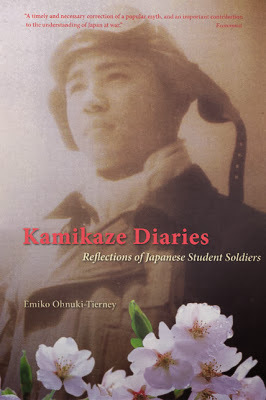 It was a collection, a study of the diaries of the kamikaze pilots who had been conscripted from Japan's top universities. So these were the young, bright minds of Japan, and these men, these young men, were beautiful writers. And they wrote these just heartbreaking letters and diaries....Many of them did not want to participate in this at all but, you know, the situation was hopeless — there was no option for conscientious objection, for example — so they were forced into this, accompanied by an enormous amount of angst. And so I think the idea for those three characters came from this reading and studying that I was doing.